An update to this free parental control product left some long-time users in the lurch. A new version of Microsoft's parental control product is ready for the Windows 10 launch, but users are complaining about changes they didn't see coming and don't care for. The free service, known previously as Family Safety, has been rebranded as Microsoft Family and redesigned. The changes are supposed to help families more easily control their kids' activities on Windows and Windows Phone devices. But parents are upset with Microsoft because the company's update introduced a bug and removed or changed features that they previously relied upon. Microsoft pushed out late Monday a fix for a bug that allowed some kids to access sites they weren't supposed to access, which caused concern among parents who use the product. The bug affected accounts that should have been limited to browsing a handpicked "whitelist" of websites. Instead, children were able to browse beyond the walled garden their parents set up. It’s not clear what websites children were able to see, though Microsoft’s standard content filters should have prevented them from seeing anything too salacious. Microsoft is aware of the problem and working on a fix, a support engineer wrote on a Microsoft forum, though he didn’t say when it would be ready. Parents are also angry about a change to the Screen Time feature, which allows them to limit kids’ device use except during specific periods. The old service allowed them to set up multiple periods of time when a child could use the device, but the new version only lets them set up a single block of time. That causes problems for parents who want to allow their kids to use their devices at different points during the day. The issues come on top of a change Microsoft instituted last month that gave parents different control panels for each device their child uses. Some parents say this makes the tool more complicated compared to the old service, which let them control how a child’s account worked across multiple devices. At the very least, that last change is supposed to come with a silver lining after the launch of Windows 10. In a support document, the company revealed that it plans to offer parental controls that travel with a child’s Microsoft account onto any new device they sign into. The growing pains will be difficult for parents now, but could ultimately result in an easier management experience overall. Some new features also appear more convenient. Parents now manage settings within a control panel attached to their Microsoft account online, rather than on a separate site. That page is designed to make it easier for them to act on a child’s recent activity by providing a breakdown of recent activity and letting parents allow or block particular programs and websites right there. 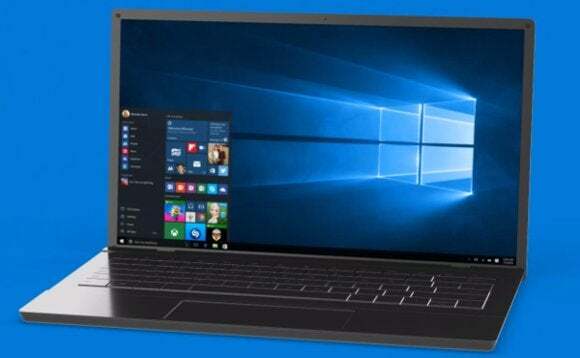 Users’ consternation over these changes highlights one of the key challenges Microsoft faces with the launch of Windows 10. The company has a large group of dedicated users who all rely on different features in order to take care of their day-to-day computing lives. If even one piece of functionality disappears or changes, it may cause a problem for a significant number of users. Editor's note: The first three paragraphs were edited to account for Microsoft's bugfix.